Price adjustment. 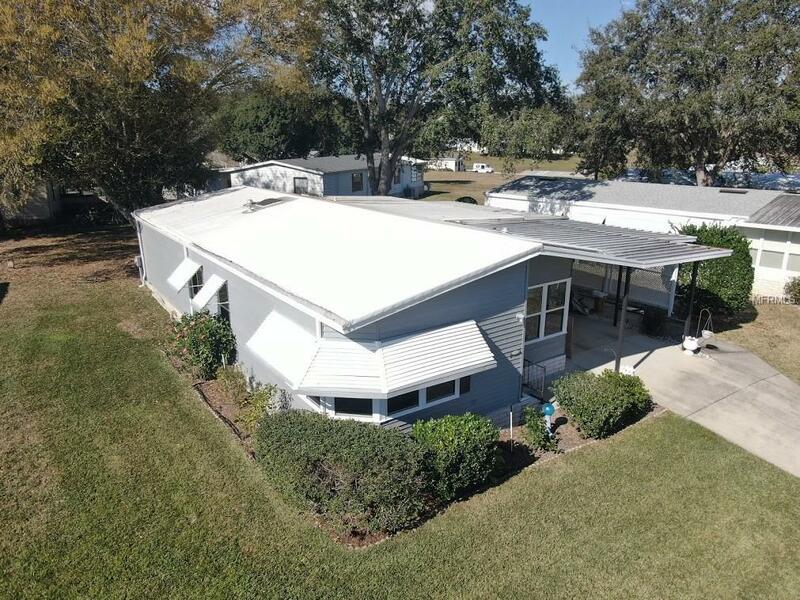 55+ Gated Golf Course Community is centrally located just north of Orlando with easy access to airport, attractions and beaches, shopping and churches and medical facilities. 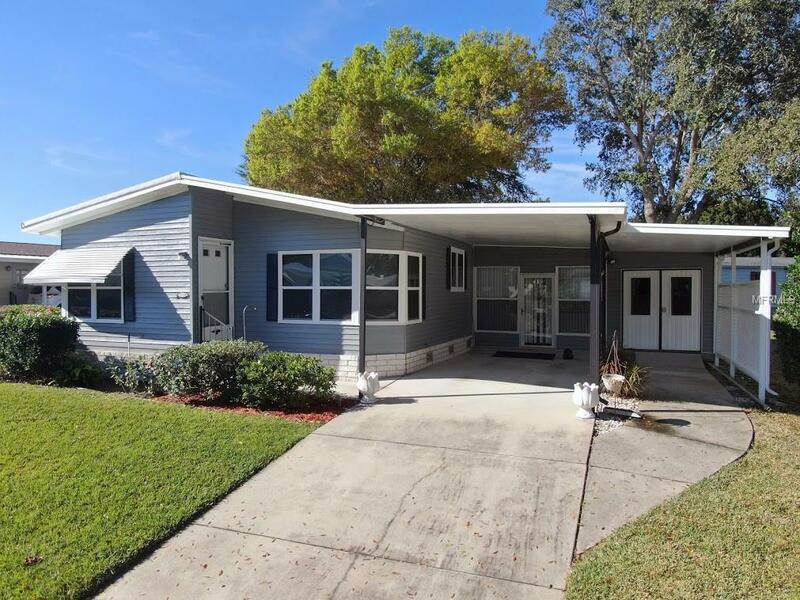 This move-in ready home with large open rooms has been completely updated with newer membrane roof, windows, completely painted inside and out, all new laminate and tile floors, and master bath with sunken tub. The beautiful eat-in kitchen has white custom wood cabinets w/pull-out shelves and large pantry, new counters w/double sink and faucet, all new stainless steel appliances, and high hat lighting. The huge 3 season lanai is perfect for entertaining. 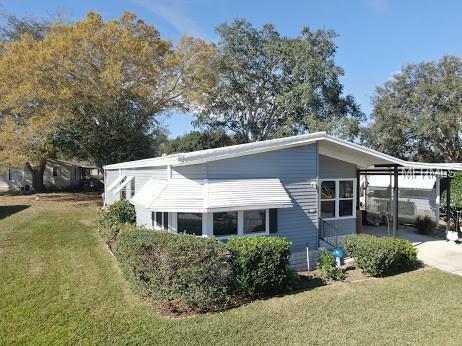 Conveniently attached is laundry, storage/work shop and golf cart garage. Amenities abound in this active and affordable adult community which includes a great 18-hole golf course, 24-hour security, restaurant and lounge where friends meet to enjoy great food and comradery. The many activities include swimming, tennis, shuffleboard, arts & crafts and much, much more. If you are retiring and do not want to do anything but bring your toothbrush this home is for you. Call today for viewing.